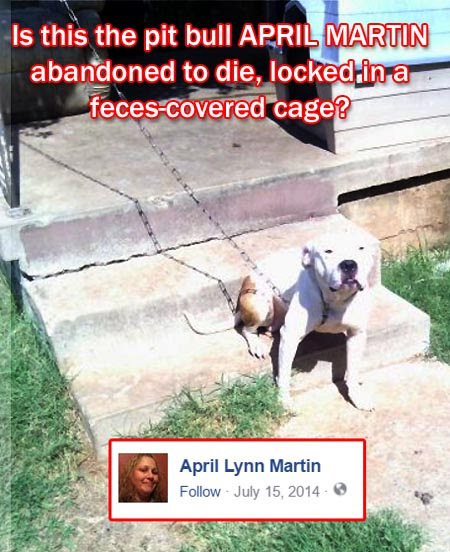 OKLAHOMA -- A woman was arrested after authorities said she left a dog in a 2' by 3' cage to die. 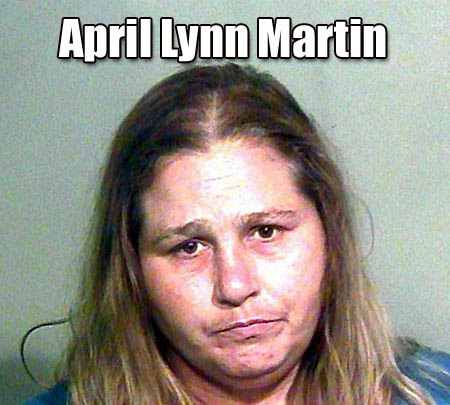 Authorities said 36-year-old April Martin moved out of her home located at 1931 N.W. 30th Street in Oklahoma City in November. Martin was reportedly having domestic issues with another man who also lived at the residence. 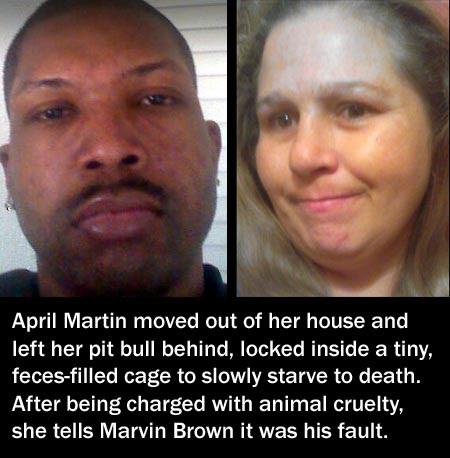 The man, Marvin Brown, was known as mentally ill, but Martin was not, court documents said. The man, Marvin Derrell Brown Jr, was removed from the home and Martin reportedly moved out as well. 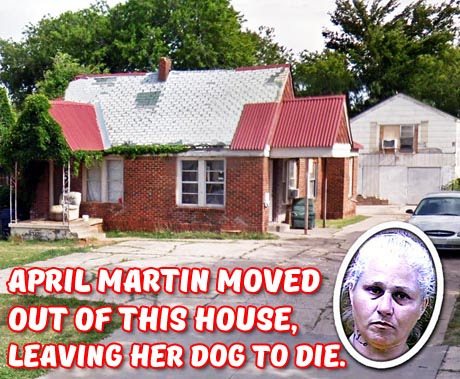 When authorities entered the home less than a week after Martin was last seen at her home, they found a dead dog in a small cage that had been starved and dehydrated. 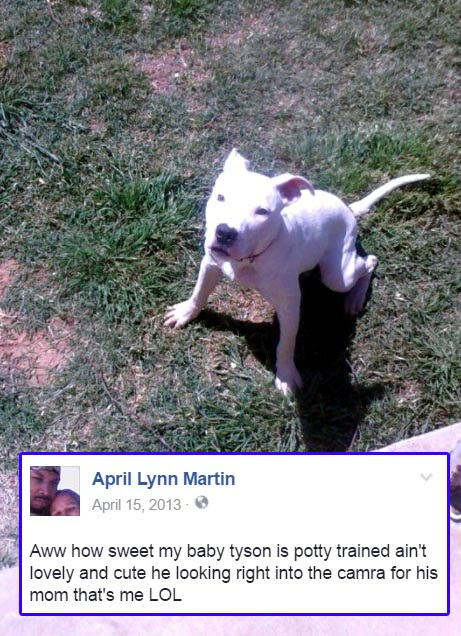 The medium-sized pit bull was covered in urine and feces as well. The animal appeared skeletal to authorities. The necropsy reported the official cause of death was starvation/dehydration. 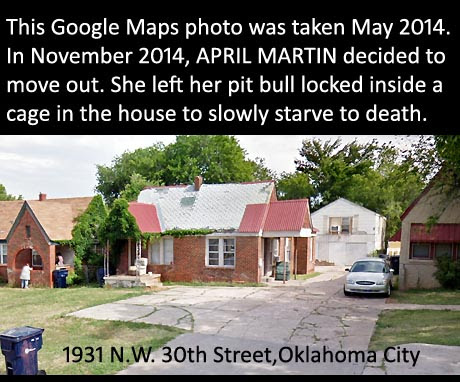 One count of animal cruelty was filed against Martin on Friday in Oklahoma County. NEW JERSEY -- An elderly woman witnessed a dog attack today that left her two longtime cats dead. Township animal control officer Nate Barson was already looking for the dogs when the attack occurred, called by one of the woman's neighbors. It happened on Jan. 30 at about 11:30 a.m. 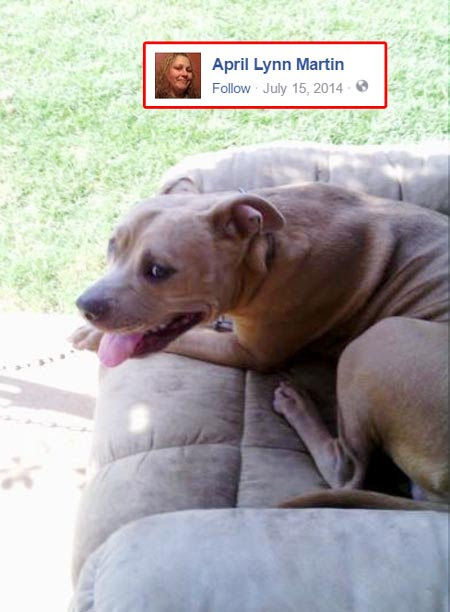 According to township police, the woman noticed the two dogs on her porch, and snapped a photo of them. She hadn't seen anything amiss at that point, but was apparently uneasy about their proximity. A short time later, they said she looked outside and saw that one of the dogs had one of her cat's by its head, while the second dog had the cat's tail in his mouth. She called for help and Barson arrived in time to snap a photo of the dogs escaping into a wooded areas behind homes in the 400 block of Riegelsville Road. Authorities want to find the dogs, and are also warning area residents to safely secure small pets and farm animals. 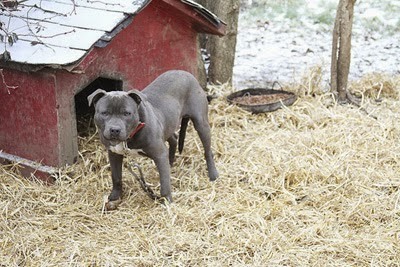 They ask anyone who sees the dogs to keep their distance and "immediately" call township police at 908-995-4670. The woman had shared her home with tan-colored "Donavan" and grey-colored "Butch" for 10 years and was deeply upset by the attacks, officials said. Her home is set back from the road and, as is common in such areas, her cats moved between the outside and indoors. Police said the dogs were clearly on the woman's property when the cats were attacked; her second cat was discovered dead when Barson arrived. Barson said the two dogs appear to be about 60-70 pounds and at least one is a male. He said they could be Rhodesian ridgebacks, Black mouth curs or a boxer mix. He said one neighbor tried to get the dogs to come to her with treats, but they were too skittish to approach. Barson is having the cats cremated at no cost to their distraught owner, and having the ashes returned to her. He said the rescue Tabby's Place is helping with this. 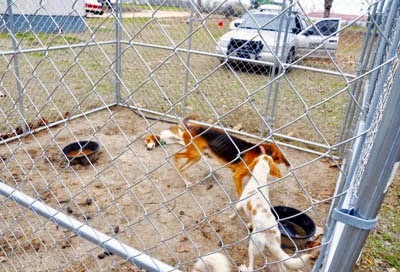 The owners of the dogs could face penalties or be required to make restitution to the cats' owner. Officials want to make sure the dogs have current vaccinations. Anyone with information on them may also call Barson at 908-899-1115. 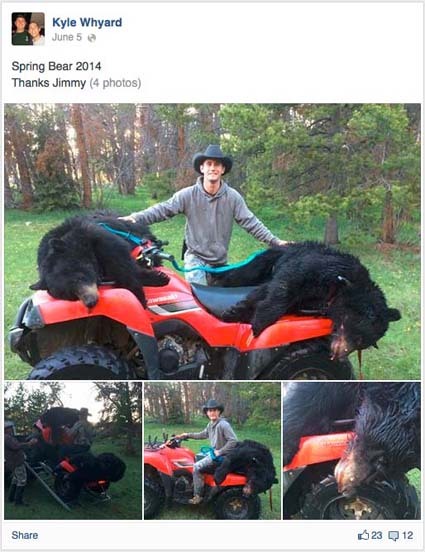 MONTANA -- A Darby man will serve 14 days in jail for his part in what’s been called the largest bear poaching case in state history. Kyle L. Whyard, 26, pleaded guilty to three misdemeanor charges Thursday as part of a plea agreement that dropped an equal number of counts before Ravalli County Justice of the Peace Jim Bailey. Whyard is one of three Ravalli County men charged last July with killing nine black bears with the aid of bait. 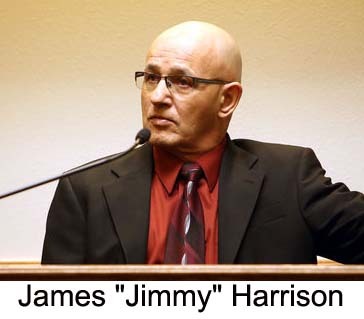 James “Jimmy” Harrison has since been charged with five felonies. His case is currently working its way through District Court. Richard Sublette, 56, of Hamilton faces misdemeanor counts. 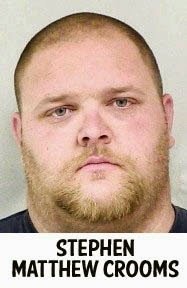 Whyard pleaded guilty to unlawful possession of a large game animal, aiding in wasting game meat and providing a false statement to law enforcement. All of the charges were misdemeanors. Bailey sentenced Whyard to six months of jail with all but 14 days suspended. Whyard was required to serve seven days starting Thursday and another seven within the next 45 days. Whyard will also be required to pay $3,105 in fines and $2,000 in restitution. Bailey also revoked Whyard’s hunting and trapping privileges for five years. The men were charged following an investigation that began last June after Harrison called a game warden to report that Whyard and Sublette had each killed a bear in the Trail Creek area of the Big Hole Valley. Harrison reported that both a male and female bear had been killed. After the warden made arrangements to inspect the bears the next day, state officials received an anonymous call saying Harrison was in possession of a black bear just off the West Fork Road in Ravalli County. The warden responded and found two bear carcasses dumped near Trapper Creek Road, according to a charging affidavit. The male and female animals had large chunks of meat removed, but still possessed ample quantities fit for human consumption. 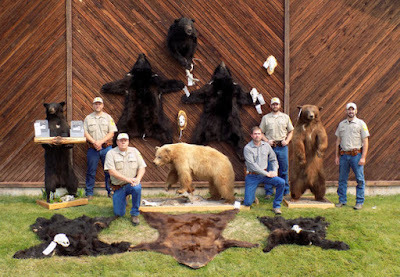 bears illegally killed by James Harrison and others. One of the bears still had Whyard’s bear license wrapped to its leg. The affidavit said Harrison eventually offered details on nine bears that he was involved in killing in Ravalli and Beaverhead counties between 2009 and 2014. Harrison was convicted on bear-baiting charges and other illegal activities in Beaverhead County last August. MICHIGAN -- Our dog bite lawyers recently filed a lawsuit in the Macomb County Circuit Court on behalf of a client who suffered serious injuries to his face. He was attacked by the defendants pit-bull while standing at a bus stop in Roseville. Our client had previously worked with the defendant. The defendant had driven into a McDonald’s next to the bus stop and parked his van. As the defendant climbed out of his van, his pit-bull jumped out the van just behind him. 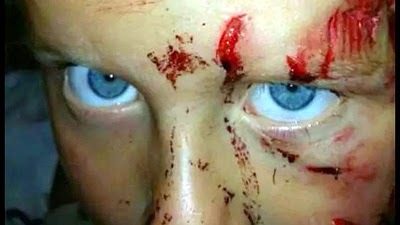 For no reason at all, the pit bull bit our client in the face. The bite resulted in a severe laceration of our clients face and lip. The attack has resulted in permanent scarring to our clients face. 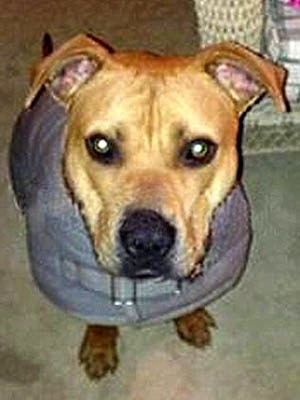 The defendant left the scene to get his dog, who ran away, and never returned. The Roseville and Warren animal control officers were able to track down defendant with the assistance of the Roseville Police Department. A report and investigation substantiated how the attack occurred. Our client did nothing to provoke this terrible attack. The doge bite lawsuit was filed in the Macomb County Circuit Court in Mt. Clemens, Michigan. The defendants homeowners insurance carrier hired an attorney to defend the owner. The lawsuit seeks compensation for pain and suffering, scars, and medical expenses. No trial date has been set by the court. 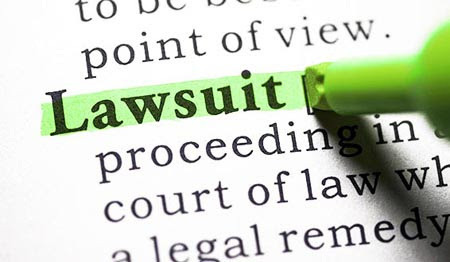 MICHIGAN -- Our dog bite lawyers recently filed a lawsuit in the Livingston County Circuit Court on behalf of a client who suffered serious injuries to her hand and finger. 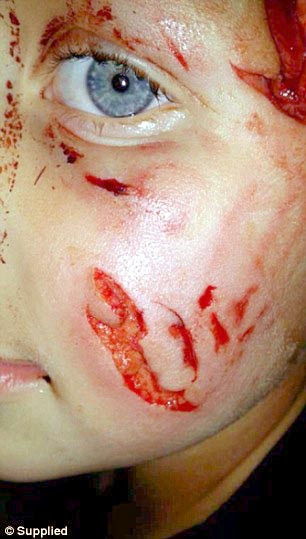 She was attacked by the defendant's black Labrador retriever at her friend’s home in Pinckney, Michigan. Our client was at her friend’s house dropping off promotional materials for her company. 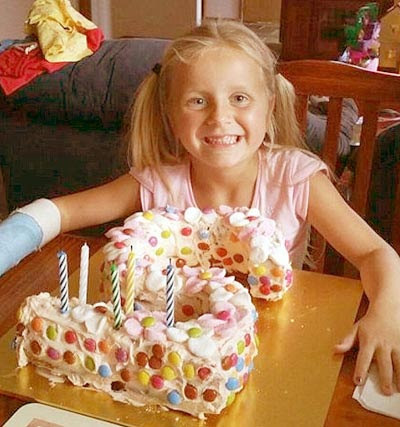 She was familiar with the dog and went to pet it, when the dog bit her hand. The bite tore off the tip of her right index finger and injured her thumb. Stitches were used to close the wounds. She continues to have nerve issues in the finger and thumb. She has had physical therapy for the injuries. The doge bite lawsuit was filed in the Livingston County Circuit Court in Brighton, Michigan. The defendants homeowners insurance will be liable to pay the settlement. The lawsuit seeks compensation for pain and suffering, scars, and medical expenses. No trial date has been set by the court. MICHIGAN -- Our Fowlerville dog bite lawyers recently settled a lawsuit on behalf of woman who was attacked by a friend's dog. She was visiting her friend’s home and was in the kitchen. The dog was also in the kitchen. When our client bent over to look at a meal cooking in the oven, the dog jumped up and bit her in the face. The force of the attack was significant. Our client suffered severe lacerations to her face, including the need for more than 60 stitches within her gum and cheek area. 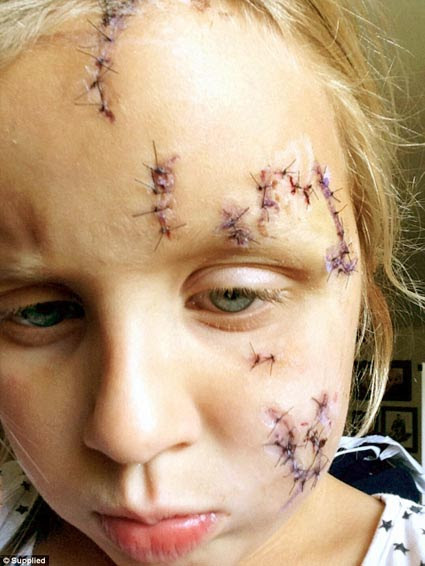 She has permanent scarring and disfigurement, as well as facial numbness due to damaged nerves. The attack was unprovoked and our client was lawfully on the defendant’s property at the time of the attack. The incident was investigated by the Livingston County Sheriff Department. We filed a dog bite lawsuit on her behalf in the Livingston County Circuit Court seeking compensation for the injuries suffered in the dog attack. After depositions of the witnesses were taken, the parties agree to a private mediation of the case. The case was settled for the amount of $175,000 for her pain and suffering, disfigurement, and other damages. The settlement was paid by the homeowner’s insurance company for the owner of the dog. 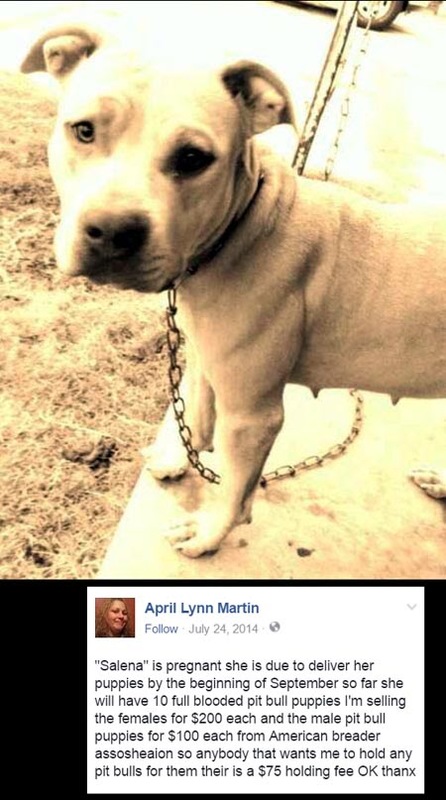 FLORIDA -- UPDATE: A Santa Rosa County spokesperson has identified the breed of dog involved in Saturday's attacks in East Milton as a member of the American pit bull family. Joy Tsubooka said the dog that sent four people to the hospital after a series of biting incidents and was later stabbed to death is also being tested for rabies. The Santa Rosa County Sheriff's Office has released new information in connection to a dog attack that sent four people to the hospital Saturday morning. According to the Sheriff's Office, an argument broke out at a residence in the 9300 block of American Farms Road Saturday morning. "The dog became irate due to the yelling occurring at the home," according to a release. When a resident attempted to put the dog outside, the dog bit the first victim. Some time later another resident let the dog back inside, when it then bit another resident. The dog was then put back outside only to be let back in a short time later, when it again began biting people in the home. According to the sheriff's office, it was at this point that the dog was cornered and stabbed to death. One of the four patients was transported to Sacred Heart Hospital by air, two others were transported to Sacred Heart by ambulance, and a fourth was sent to Santa Rosa Medical Center by ambulance. The current condition of the residents is unknown. Santa Rosa County Animal Control responded to the scene and took the dog from the residence. Four people were injured Saturday morning after a dog attack in East Milton, according to Santa Rosa County officials. Officials received a call at 8:11 a.m. about a dog attack in the 9300 block of American Farms Road. Officials from Harold and East Milton fire departments, the Santa Rosa County Sheriff's Office and EMS responded. One of the four patients was transported to Sacred Heart Hospital by air, two others were transported to Sacred Heart by ambulance, and a fourth was sent to Santa Rosa Medical Center by ambulance. According to officials, the dog is now dead. NEBRASKA -- A Central Florida woman arrived at a Nebraska airport on Friday with three puppies and two dogs but grew desperate when she was told she couldn't fly with the pups because they were too young. 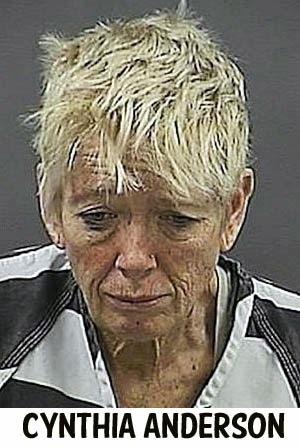 Then Volusia County resident Cynthia Anderson allegedly drowned one of the puppies — a Doberman — in an airport bathroom after trying to conceal the pooch in her carry-on luggage, according to the Grand Island Police. The puppies, all believed to be three weeks old or less, were too young to fly, said Grand Island police Capt. Dean Elliott. "Their eyes weren't even open," added Elliott. Dogs must be at least 8 weeks old to fly. The other two puppies were picked up by the woman's parents, Elliot said. It's unknown why the third puppy wasn't also picked up, said Elliott. Anderson, 56, of Edgewater was seen entering a bathroom before another woman reported finding a dead Doberman puppy in the toilet. 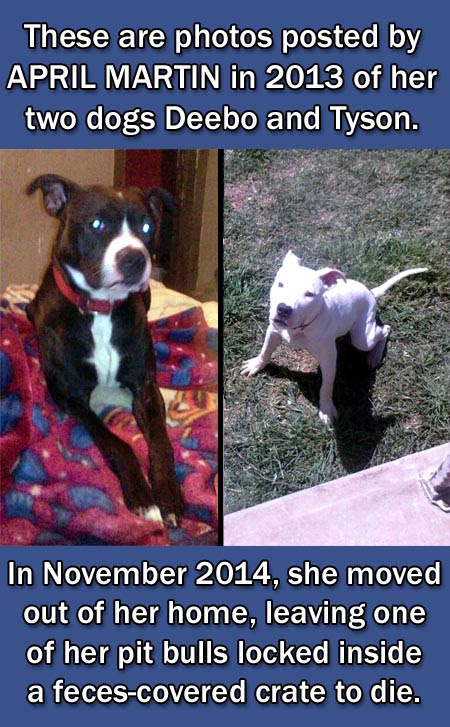 She also had two older dogs with her that were cleared to travel. The Grand Island Central Nebraska Humane Society assisted in the investigation and found water in the puppy's lungs. 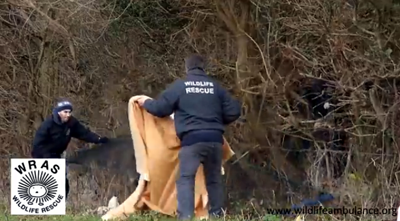 They determined the cause of the puppy's death was drowning. The other puppies are being cared for by the Humane Society. "They're doing great," said Laurie Dethloff, executive director with the Humane Society. "They started off a little scared but are adjusting well." She said the organization is working to figure out ownership of the puppies, as well as looking into the condition of the two others dogs who remain with Anderson's parents. In Volusia County, Anderson has a criminal record dating back to 2010, when she was arrested and fined for a charge of retail theft, according to court records. She racked up other robbery-related charges over the next few years. 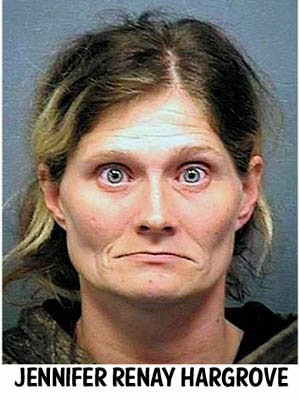 In 2011, she was sentenced to six months probation for grand theft charges. That same year, she was arrested again for issuing a worthless check, records allege. Last year, she was arrested for battery and trespassing in a occupied structure and sentenced again to a six months' probation, records show. She violated that probation and is awaiting sentencing in a grand-theft case from November of last year, records show. Anderson was out on bail and is being held at Hall County Jail on charges of animal abuse. KENTUCKY -- A Winchester man has been charged with second-degree animal cruelty after not providing an adequate space for his outside dog to keep warm. Damon Lucas Jr., 22, of 23 Denny St., was cited under the state’s animal cruelty statute Monday when police went to the house and found his outdoor dog had no straw to keep it warm during the latest cold spell. According to the law, the offense is a misdemeanor. Speak Out and Rescue (SOAR), an animal rescue group in Georgetown, contacted Winchester Police about the dog being on a chain outdoors without straw. Winchester Police Chief Kevin Palmer said officers visited the Denny Street house twice after receiving calls from the group. No charges were filed following those visits because the dog had food and water, Palmer said, but the recent cold weather has posed an issue. Lucas’ mother, Felecia Lucas, said the dogs are cared for and the outdoor dog, a pit bull, is well fed and groomed, has water and a dog house. “There is no animal cruelty on Denny Avenue,” she said. People in the neighborhood do not like dogs, Felecia Lucas said, which is why she believes they contacted SOAR. SOAR expressed a concern for the dog’s thick, heavy chain, which Felecia Lucas said the dog had to have because he has broken through smaller chains. “It’s sad when officers have other things to do in our city and they have to come here every other day,” Felecia Lucas said. Tracy Miller, founder and president of SOAR, said she went to the house two weeks ago with the Clark County Animal Control Officer Sue Cliff and nothing was done about the dog’s condition. Miller shared the dog’s pictures on Facebook, which reached more than 400,000 people, she said, and she was receiving messages from places like South Africa expressing concern for the dog. “People are outraged by this,” Miller said. Palmer also said he was receiving messages from all over the world, which is why he re-addressed the issue. He said he didn’t want other communities thinking the city didn’t like dogs. “That’s not the case,” Palmer said. Palmer said he told Felecia Lucas the dog could not have a tight chain around its neck because it would be a safety hazard for the animal. Miller provided hay for the dog and also offered to build a fence so it wouldn’t have to be chained. She also offered to have the dog neutered at no cost. Damon agreed to both. “My son loves dogs,” Felecia Lucas said. Felecia Lucas also said she would be sure Damon Lucas kept straw down for the dog. “I have confidence that from now on, between mom and (Damon), the dog will have straw,” Palmer said. No information was available on a court date. CALIFORNIA -- I am a retired high school teacher who used to enjoy taking walks around the Concord neighborhood I've lived in for 34 years. On Dec. 18, I was taking my 17-pound dachshund, Bart, and my son's 9-pound Chihuahua, Coco, on my regular morning walk. As I turned the corner from Wilson Lane onto Thornwood Drive I looked up and saw a pit bull mix charging at us from across the street. In the next instant the pit bull was viciously attacking my dog. I screamed for help and tried to get the dog off Bart. My dog would have died had it not been for a man who got out of his vehicle and threw a heavy object onto the dog, which then finally ran off. When the attack was over I was covered in blood. I had a broken finger and bruises and bite marks on my hands. My dog had several deep bite wounds all over his head and neck. As I waited for help, people stopped to comfort me and Bart. 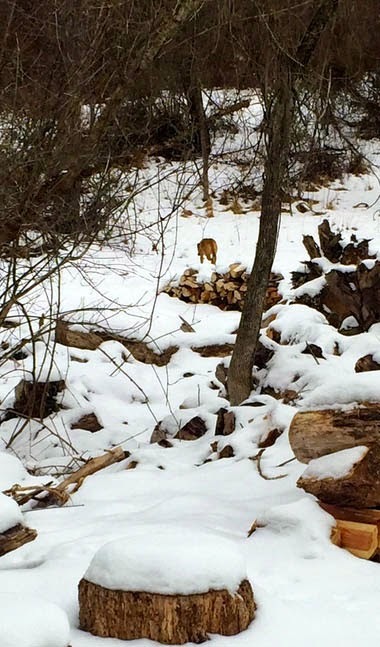 One man followed the pit bull to find out where it lived and reported the address to me. My son arrived before the police, and we rushed to the emergency veterinary clinic. I thought surely the dog would be taken into custody for such a terrible attack. To date, an Animal Control officer reports that he has gone to the dog's home but no one answers the door, although he can hear dogs barking. He says that there are other complaints against the dog and I should not approach the owners. Animal Control has also sent me information regarding rabies with a recommendation to visit my doctor. I am now terrified to walk in the vicinity of the dog's home, which is only a half-mile from my home and two blocks from an elementary school. I have been told I need more witnesses to the attack for Animal Control to do anything else, but as I had to rush my dog to the vet and could not stay and collect names, addresses and phone numbers, how do I find these witnesses? I would like to thank the man who saved Bart's life, my neighbor who followed Coco home, the woman who gave me a blanket to cover Bart while he was lying on the sidewalk in shock, the man who said a prayer over Bart, and the Sage Veterinary Center staff for treating Bart. I am also wondering if you can give me some advice. What can I do to protect myself and my dogs on a walk? I have bought pepper spray and I now bring a stick. Is that enough? What is best? Hmm, my suggestion is to keep complaining. You only need yourself as a witness against this dog. Why isn't your word - and your vet and hospital bills - enough?? As for what to carry, I suggest you get your handgun carry permit and take it with you whenever you are out. A stick and pepper spray will not stop these types of dogs. Only a gun will. 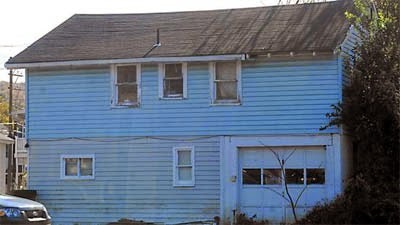 PENNSYLVANIA -- An Emmaus man who kept six dead snakes and dozens of live exotic birds in a home previously condemned by the borough has pleaded guilty to animal cruelty charges stemming from a September 2014 raid by the Pennsylvania Society for the Prevention of Cruelty to Animals..
Jason D. Wieder, 35, of the unit block of South Cherry Street, will be required to pay more than $10,000 in fines and costs after pleading guilty Monday at District Court in Emmaus to a dozen counts of animal cruelty. As part of the plea, Wieder was ordered to pay $9,157 to the PSPCA for the care of dozens of birds and animals seized from the property, in addition to a $50 fine for each of the animal cruelty offenses. "The PSPCA is pleased that Mr. Wieder has accepted responsibility for his actions and that these animals have found justice," Pennsylvania SPCA CEO Jerry Buckley said in a press release. "While we mainly deal with dogs and cats in cruelty cases, it's not unusual for us to be involved with investigating and prosecuting birds and other animals." A PSPCA officer served a warrant at the property in September, eventually seizing 37 cockatiels, 10 cockatiel eggs, six dead snakes, three parrots, three cockatoos and three dogs, according to court records. The dead snakes — boa constrictors and pythons — were kept in plastic containers. The SPCA said the birds that were seized have received medical treatment and have "fully recovered." The agency said that the birds will be taken by a rescue group and eventually placed in permanent homes. Wieder's three Huskies will be returned to him, but the SPCA has the right to inspect the animals for the next three years to ensure they are being treated humanely. They also will be spayed or neutered. SPCA officials visited the property after the borough's code enforcement officer inspected it for code violations. Borough Manager Shane Pepe said Emmaus has filed a civil court action against Wieder over the property. The borough maintains that the building should be demolished or repaired. 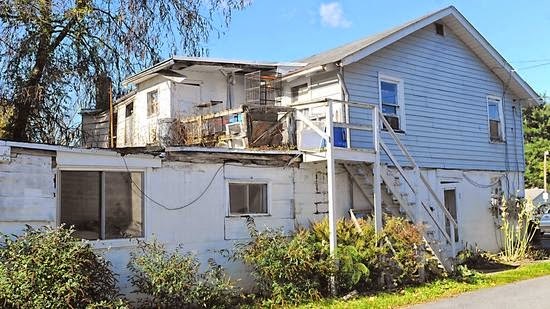 "We have condemned the home numerous times for lack of utilities and are concerned about the physical structure of the home," Pepe said last year. The property is in an alley near Seven Generations Charter School. 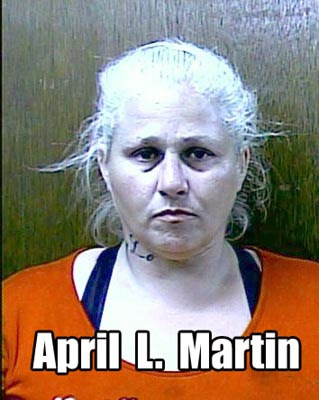 TENNESSEE -- A Spring Hill woman was arrested this week on animal cruelty charges, Maury County Sheriff’s Department Lt. Andy Jackson said Wednesday. Jennifer Renay Hargrove (aka Jenny Hargrove, Jenni Hargrove), 32, of 3316 Reagen Road, Spring Hill, was arrested and charged with two counts of animal cruelty (Misdemeanor) and two charges of aggravated animal cruelty (Felony). She was jailed and released Monday, according to a Maury County Jail booking report. Jackson said the sheriff’s department received a call on Sunday from someone saying there were malnourished dogs outside the Reagen Road home. With temperatures this week falling to the teens and single-digits, investigators were afraid the other dogs would freeze to death, he said. Deputies arrested Hargrove at her residence Monday, and she surrendered four dogs to the sheriff’s department, Jackson said. 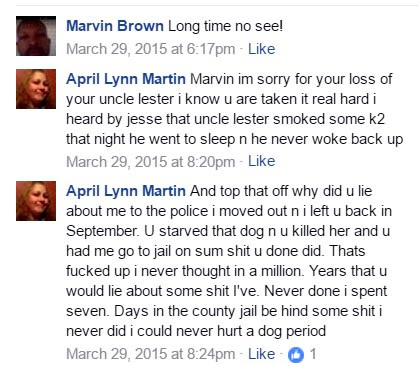 He said those dogs were taken to the Maury County Animal Shelter. Hargrove had another dog in her mobile home that had recently given birth to a litter of puppies, Jackson said. He said the mother dog and puppies belonged to someone else, and deputies remained on the property until their owner came to Hargrove’s house to collect them. Investigators also found several chickens on the property, and made arrangements for someone to get them, Jackson said. Hargrove told the sheriff’s department she is currently staying with someone else at another residence, he said. Hargrove has previously faced drug charges in other counties, Jackson said, but he was unable to find anything on her prior record regarding animal cruelty. 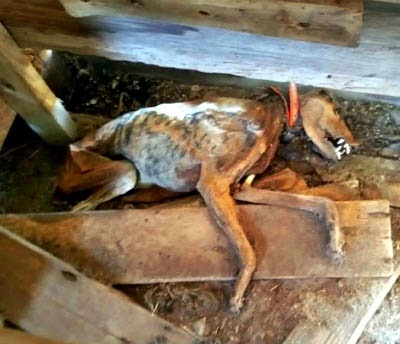 GEORGIA -- A Waynesboro man has been arrested for starving his hunting dogs to death. Stephen Matthew Crooms, 27, was jailed last Wednesday and is charged with 10 counts of cruelty to animals. According to Investigator Gene Boseman of the Burke County Sheriff’s Office, the first grim discovery was made last month after Crooms’ family sold a portion of their Highway 56 South farm. 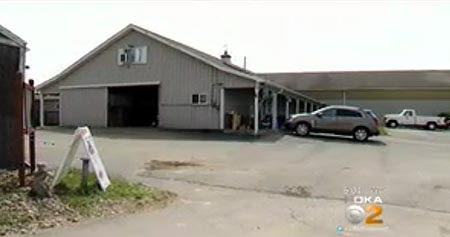 While the property and outbuildings were being inspected, the chained bodies of five dead dogs were found inside a barn. When investigators arrived, they were similarly dismayed. Deputies said Crooms denied the dogs belonged to him; but collars with his name and telephone number were on all of the carcasses. While officers were investigating that case, more allegations surfaced. According to Boseman, deputies received complaints about more neglected hunting dogs that were penned just outside Crooms’ trailer. All 10 of Crooms’ charges are misdemeanors, and he was released from jail on a $3,750 bond. Officers said family members have taken over the care of the four surviving dogs. Crooms’ case is expected to be heard in February, and the man who found the dead dogs said he hopes to see some sort of justice. Crooms is the same man accused in 2009 of posing as a funeral home employee to collect identity information from at least five job seekers. 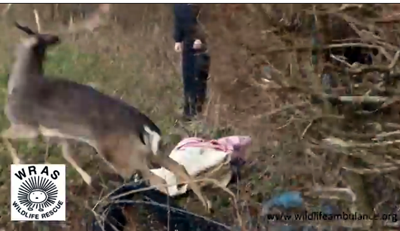 UNITED KINGDOM -- A Sussex animal charity has issued a warning about discarded baler twine after a dramatic deer rescue today at Hellingly in East Sussex. 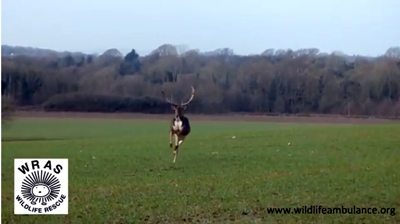 Volunteer rescuers from East Sussex Wildlife Rescue & Ambulance Service (WRAS) jumped into their ambulance after receiving a call about a Fallow Deer buck with full palmate antlers caught in baler twine and a barbed wire fence. Rescuers Trevor Weeks MBE his partner Kathy Martyn, both from Uckfield, and rescuers Chris Riddington from Eastbourne attended on site. 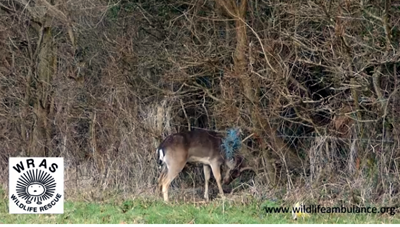 "The rescue was not an easy one, although the deer was restricted in how far it could move, the fact that it was in a hedge made our rescue attempts very difficult. "Our first few attempts to pin the deer to the floor using the walk-to-wards net did not work with the deer managing to get up every time. 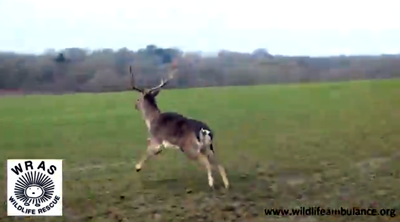 We just couldn’t get the right angle and coverage of the deer to pin it down. 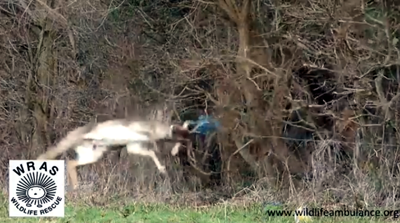 We had to take the more risky approach of threading the long net through the fence either side of the deer where we were then able to restrict the deer’s movement. From start to finish the rescue took 15minutes. East Sussex WRAS is asking anyone walking, visiting or working in the countryside to keep an eye out for baler twine and pick up any discard twine and dispose of it properly and safely. MASSACHUSETTS -- An elderly Melrose woman got an unwelcome snow day surprise after an agitated raccoon sought refuge from the blizzard in her kitchen. The woman, who is in her 70s, called police to her Glendale Avenue home at about 8:30 a.m. after she heard a ruckus. “She heard some strange noises in the house so she called police,” said Melrose Police Chief Michael Lyle. 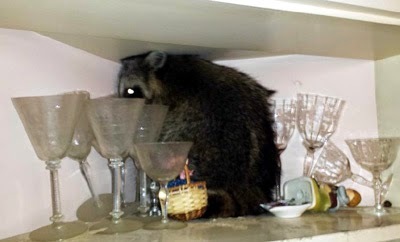 “In her china cabinet was a small, young raccoon. The Melrose animal control officer lived in another community and wasn’t able to come to the scene in the blizzard, according to Lyle. Lyle said his two officers ended up grabbing a broom and worked for about 90 minutes to shoo the raccoon outside. Lyle said the raccoon likely entered the home from the chimney before climbing into the china cabinet. 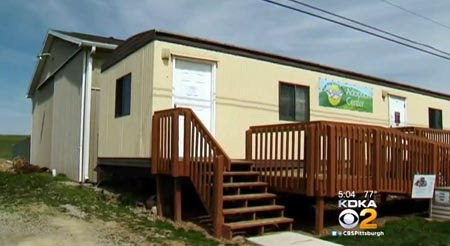 PENNSYLVANIA -- A Chartiers Township rescue kennel and its owner/director were cited by the state police dog warden after violations were found during an inspection this month. Nancy Shannon and Angel Ridge Animal Rescue at 390 Old Hickory Ridge Road were cited Friday for failure to keep the kennel in sanitary and humane condition in regard to temperatures and pests, failure to keep proper kennel records, not having a health certificate for importation, failure to produce a bill of sale for a dog and dealing with an unlicensed out-of-state dealer. The citations were filed at the office of District Judge David Mark. Dog law enforcement officers responded to the kennel Jan. 9 after receiving a complaint about the conditions at the no-kill shelter and sanctuary, according to a spokeswoman for the state Department of Agriculture. The inspection report submitted by the dog wardens indicated that the fencing was pulled and damaged, allowing for the potential of the dogs housed there to be injured. The temperature inside the kennel was about 32 degrees with no additional measures taken to help preserve the body heat of the dogs. Staff and volunteers told the wardens that heat had not been working since the previous day and the water pipes had been frozen since Jan. 6, according to the report. Shannon said Wednesday that there was a problem with a gas line on the property. She said that two plumbing contractors worked around the clock to make the repairs to the lines. She said staff and volunteers purchased dog shelters and brought in straw and blankets for the animals. She said water was hauled to the kennels. Shannon called the citations an overreaction and questioned whether there is a double standard in enforcement, noting some animal control officers keep animals in outdoor runs. The dog wardens also noted food and water receptacles for the dogs were contaminated with bird excrement. The floors of the kennel also were stained with excrement because there was no access to hot water to clean them, according to the report. There also was bird excrement on the kennel fencing, support beams, floors and walls in areas housing the dogs. The wardens also observed an infestation of birds and damage to the ceiling and insulated walls where birds made nests. The report also indicates that the wardens saw records that were missing pertinent information, such as dates and addresses. The wardens also noted that the kennel was receiving dogs from an unlicensed, out-of-state dealer and that several dogs were brought in without a bill of sale. The wardens also indicated that there were at least 24 dogs brought into the kennel from other states without health certificates. A follow-up inspection of the kennel will be done at a later date. Shannon faces fines that will be determined by Mark. She said that she plans on requesting a hearing. Shannon resides out of state and has not yet received the citations. 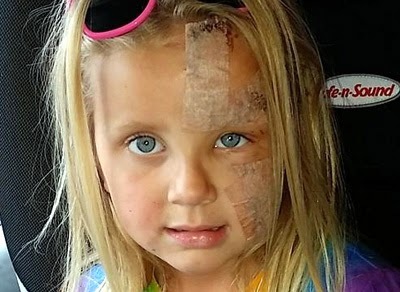 AUSTRALIA -- THE mother of a five-year-old girl horrifically mauled to the face by a pit bull has slammed authorities, saying they only helped her when the story went public. Monique Douglas demanded to know whether the dog that savagely attacked her daughter Alexis last Friday had been put down. But the mother of four said she heard nothing from police or the council until sharing her story on 3AW. Alexis was playing at her older sister’s friend’s house in Carrum Downs when a neighbour’s dog launched on the little girl. She now faces her first day of Prep on Friday with bandages covering the left-hand-side of her face. Mrs Douglas said despite contacting Frankston City Council and the police, she had no confirmation that the dog had been destroyed until hours after she went on the radio program this morning. “I was crying out for police help, for council help, but no-one helped me until I called Neil Mitchell,” she said. Mrs Douglas said police offered counselling to her eldest daughter Madieline, 16, who had been with Alexis when the attack occurred. 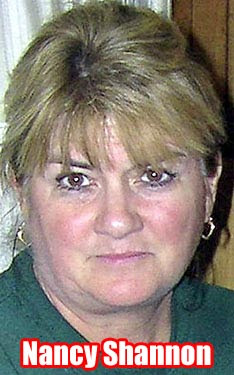 “She is quite distraught about the whole thing and feels she ruined her sister’s life,” Mrs Douglas said. Frankston City Council chief executive Dennis Hovenden said staff “were still trying to ascertain the procedure” after Mrs Douglas alerted council to the attack on Saturday morning. He said staff had confirmed with the dog owner today that the pit bull had been euthanased by a vet, and that it had been unregistered. Meanwhile, young Alexis faces regular appointments with a plastic surgeon. “There will be permanent scarring,” Mrs Douglas said. VIRGINIA -- Culpeper County authorities say a dog attacked several people on Sunday evening, including two children and the grandmother of one of those children. 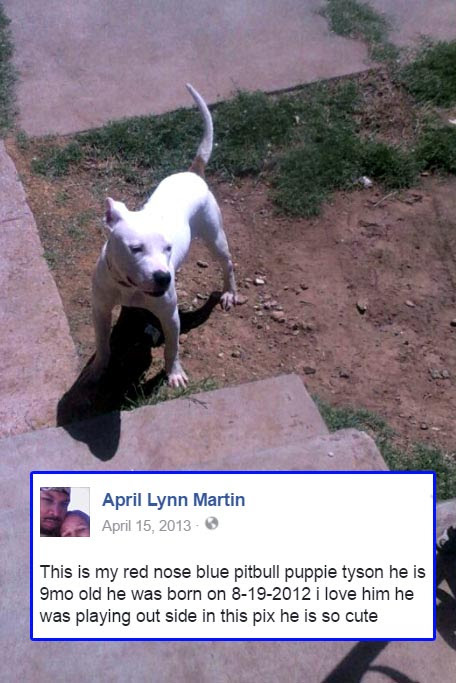 The dog was captured around 1:30 Monday afternoon, police said. According to authorities, the dog attacked its owners in the 22000 block of Halls Road at approximately 4 p.m. Sunday. It injured a child and grandmother. 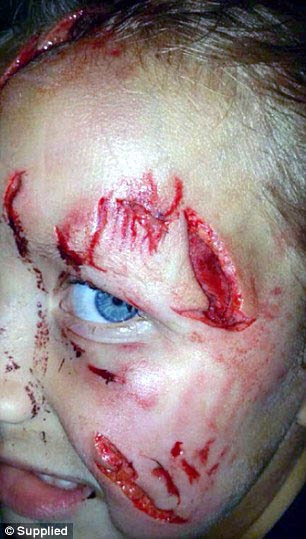 They say the dog attack another child on the same street a short time later. 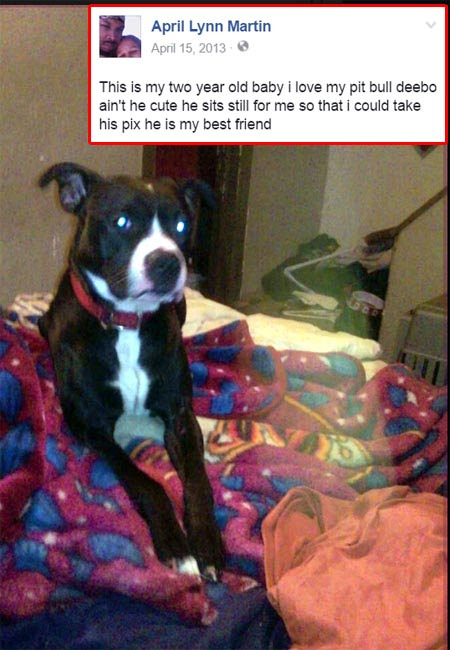 They are asking residents to use cautions and call 911 if they see the dog. The dog may be injured, according to officials. Owner charged in case of 3 dumped puppies found in Johnson Co.
INDIANA -- Johnson County Animal Control says it has charged the owner of three malnourished puppies found dumped in a remote area, Call 6 Investigator Kara Kenney reported. Gary Lockridge of Franklin was issued three citations for neglect, three citations for abandonment and three for animal cruelty. He is expected in court April 30 at 2:30 pm. Director Michael Delp believes evidence shows the dogs were dumped out of a car in a remote area near Franklin. The puppies are now with a rescue group, recovering from malnourishment, mange and other health issues. 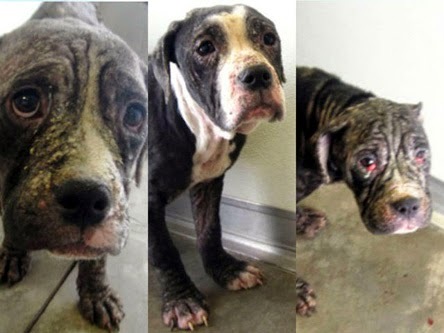 Johnson County Animal Control named them after flowers; Zinnia, Azalea, and Posey. Delp credited the RTV6 stories for helping locate the puppies’ owner. The agency originally spoke with Lockridge’s wife, who claimed the puppies ran away while they were attempting to treat them for mange. “They had to be transported there somehow,” Delp countered. MISSOURI -- They are normally tasked with apprehending criminals but on this occasion two police officers had a very different target to contend with. 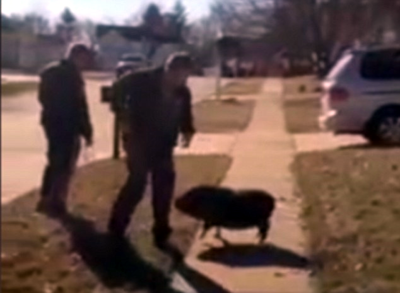 Footage has emerged of the two officers battling to try and capture an escaped pig in a residential area of Missouri. 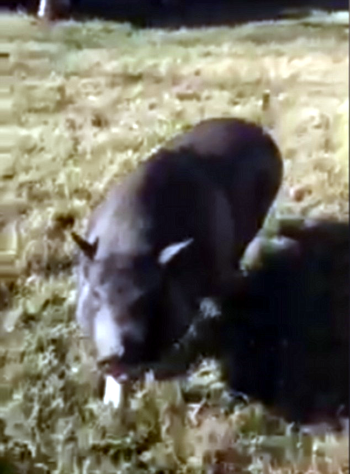 The video was captured by Wildwood resident Graham Howatt on Wednesday afternoon after he spotted the officers struggling to control the belligerent hog. Speaking to the policemen, Howatt can be heard saying that he believes the animal belongs to a neighbour across the street. ‘We hear it squealing every once in a while,’ he adds. Despite attempting to capture the pig, the two officers seem to spend most of their time actually running away from the animal. As the hog snorts and follows them around, the officers can be seen trying to hold it at arm's length while they try to decide what to do with it. As the determined hog snorts and snuffles around, the policemen can be seen hurriedly shutting the doors to their car so it doesn't get in. Eventually they settle on a plan to corner the animal and get a rope around its neck to hold it in place until animal control arrives.